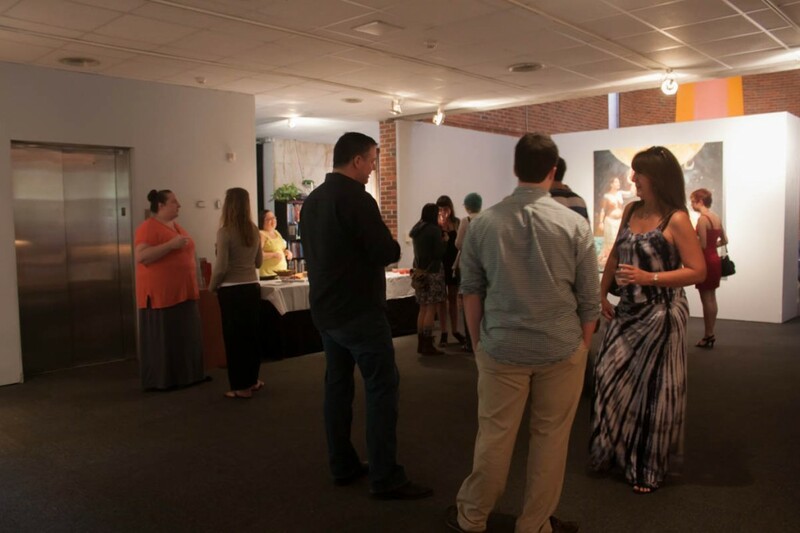 The doors of the Museum of Fine Arts opened this past Friday, July 11th for the celebration and exhibition of two graduating BFA Artists. 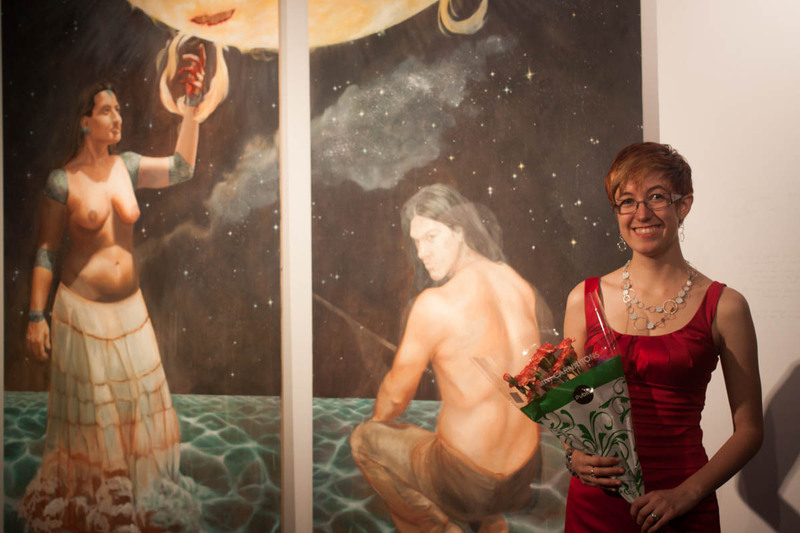 Both Taylor Devine and Julianna Mercado showcased their work in this two-person show. The exhibition began at 6 pm and was quickly bustling with friends, family and students alike. Taylor Divine’s art work is a large painting composed of two panels titled “Tsoyaha (Children of the Sun)” which you can see in the photograph below. 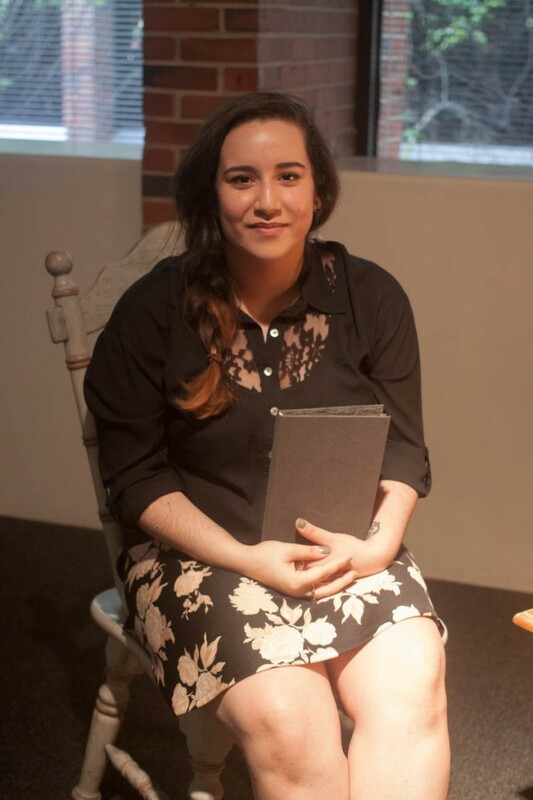 Also seen below is Julianna Marie’s work, which is a small collection of books she made that explore her personal relationships and seeks to help her understand their significance and impact. Light snacks and refreshments were provided by MoFA as everyone spoke excitedly amongst themselves. This exhibition will stay open till July 30th. For more photographs of this event, please visit the CVATD Gallery. For news on the Department of Art visit the Art News Blog or the FSU Department of Art Facebook and for information on the Museum of Fine Arts visit the MoFA website or the FSU MoFA Facebook.